Welcome to the gallery page! Here are some of the projects we have completed in the past. Have a look around, maybe you will see something that will inspire you to finish that room in your home, or update your commercial building. 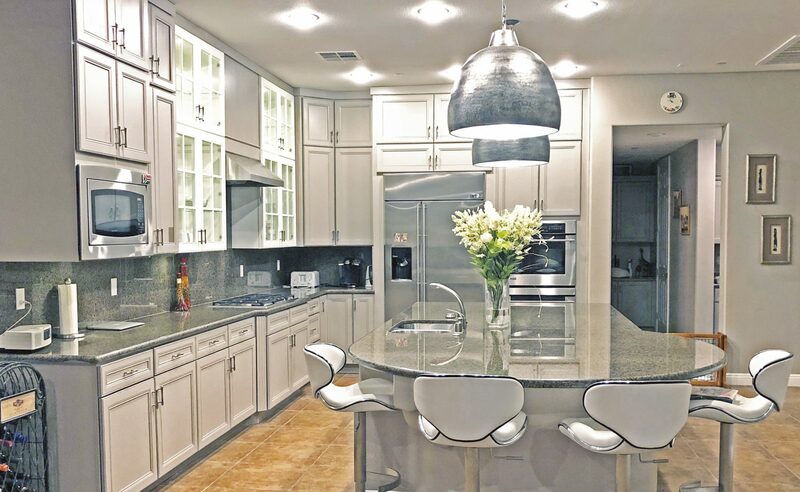 Completely Custom Built Kitchen with wine and dinner ware racks. Wrap around desk inside dentist office. Custom shelving for a Dentist office. Ron has done a lot of work in our house. Cherry kitchen, bathroom cabinets and solid wood doors for dressing room and closets. A master craftsman. We love the new look in our home. Gatchells Custom Woodworks is the best in the Las Vegas area. The custom work Ron does is to a tee always what his client requests. I’ve never been disappointed. His work is always even better then I asked for . Interested in having dark walnut table top made for base. Top size 5ft x 30 inches x 2 inches thick. What would that cost?